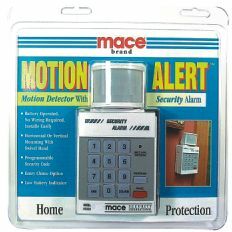 We carry he most popular Home Protection alarms and alerts products. Installs easily under door knob and provides added security for home or business. Adjusts to fit most hinged doors. End caps can be removed to allow for use on sliding glass doors as well. Clean, baked enamel finish makes it attractive for in-house use. NON-MARRING YOKE: (removable for sliding doors) Designed to work with most types of door hardware. Helps protect against finished damage. PADDED FOOT: provides sure grip on most floor surfaces and protects against finish damage. Mace Motion Alert is a passive infrared system that detects motion in any selected area. Compact and attractive, it mounts easily (vertically or horizontally) near any entry area and is battery operated, eliminating any need for wiring. Unit can be coded with a personal security code and can be set to utilize a two-tone entry chime, instead of the alarm sound. Mounting screws and AC connector included. 9-volt battery not included. 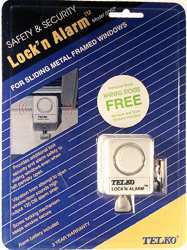 Lock'n Alarm for metal sliding doors and windows. Provides additional lock security and alarm safety to sliding doors/windows even when left partially open. Vibration from an attempt to open door/window sounds high output 120 db alarm siren. Screw locking mechanism keeps window secure. Battery included. Off/On switch. Mace Big Jammer is a strong 20 gauge steel adjustable door brace that installs easily under door knob and provides added security for home or business. Adjusts to fit most hinged doors. End caps can be removed to allow for use on sliding glass doors as well. Clean, baked enamel finish makes it attractive for in-house use. 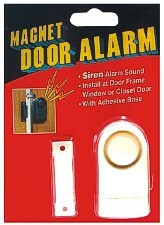 This compact, attractive Magnetic Door/ Window Alarm uses magnetic affinity to initiate its 110 decible siren. The base of the alarm is bolted to door or window frame, the actuator is connected to the window or door. The alarm is activated by opening the door or window. Great for any door or window, particularly those hard to protect sliding glass doors. 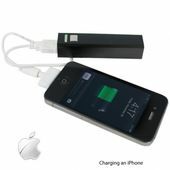 Requires 3 lithium button cell batteries (included). The Mini Alert Alarm uses passive infrared technology to protect a room from intruders. Producing an infrared triangle, the Mini Alert creates an unseen barrier that's impossible to penetrate without setting off the alarm! 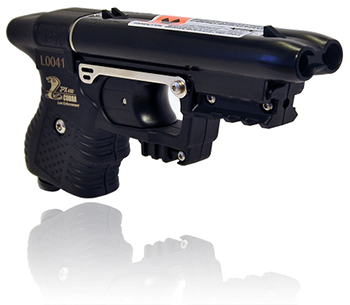 Battery operated, the Mini Alert needs no wiring and can be easily moved to a new location. Mounting bracket included. Requires three "AA" batteries. Mace Window Alert is a 95 decibel glass breakage alarm that attaches to windows and set off by vibrations if someone tries to break through. Installs easily on any window. Solid, state-of-the-art design. Battery included.